Our first recipe post for Free People has been posted! September will be a month of soups and we're starting it out vegan friendly. If you have an excess amount of zucchini this is a pretty delicious way to use them up. The soup has a lot of kick to it from the curry, and the crunchy zucchini chips are perfect for serving on top or for dipping as you eat. In a dutch oven or large pot over medium heat, melt butter. Cook onion until translucent -about 5 minutes. Add garlic, zucchini, and spices, cook until zucchini begins to soften, about 2 minutes. Add vegetable stock and reduce heat to a simmer. Cook, covered, for 30 minutes. After simmering, remove from heat. Using an immersion blender puree until smooth. Alternatively, pour into standard blender in small batches, pureeing until smooth. Add lemon juice and additional salt and pepper to taste. 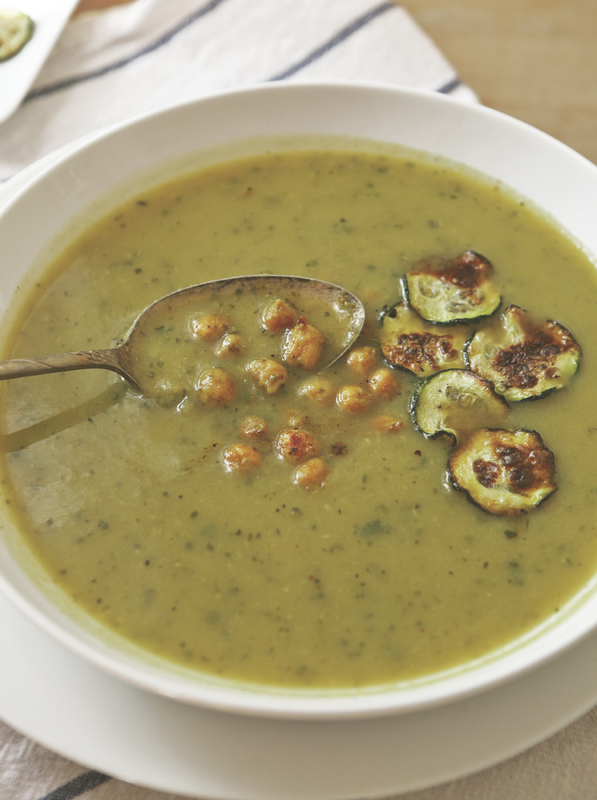 To serve, top soup with roasted garbanzo beans and zucchini chips.